With summer vacation coming up we are all getting in that mellow mood we all enjoy every year—whether you’re staying at home or you’re going on vacation, there’s nothing like having some weeks off to revitalize and gain new perspective into your life. For those that are going on vacation, we are all guilty and know that one of the fun parts about it is the planning and looking forward to it. Some people have planned their trips for over a year and browse the internet every so often with every nifty piece of information about their destination that they can find. From making a collage of pictures to looking up all the sights—there really aren’t as much thrills that feel as good as taking the time to look forward to your vacations. The app we’re featuring on this page knows exactly what it feels like and loves to help you out a hand with getting more inspired to go there. 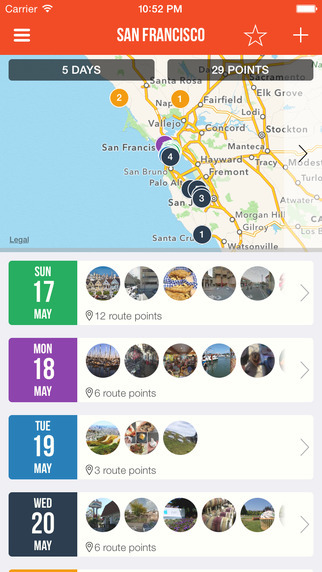 Routes 2 by The Clash Soft is a beautifully designed app that brings inspiration, creativity and functionality for travelers together. Since this year I’ve known I would love to go to Boston to take on a music education in some way or another, so before even booting up the app I already had in mind where my trip would take place. From that idea on out, it was time to plan my travel with Routes 2. Now the first thing that came to mind was that the app is beautifully designed—from the quality of the interface to the photos and maps, everything was really well done and looked classy. I selected Boston for my trip and right from there I was presented an enormous library of photos of the place that I could use as kind of a Facebook cover for my travels. Really neat stuff. Then it was time to actually plan my trip, and luckily Routes 2 makes this very easy. Select a color for your road, just insert it into your map and you’re done. 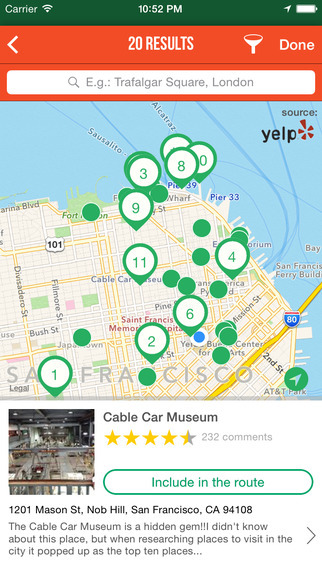 Of course, Routes 2 has a lot more features that make it an amazing app to plan your travels. For instance, you can actually choose from user-created routes and travels for a much more adventurous experience! 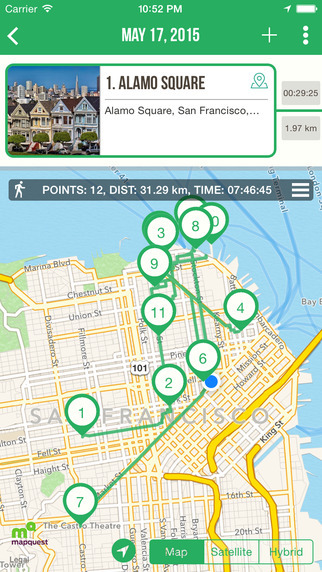 Routes 2 is a beautiful app and it has a lot of things going for it. 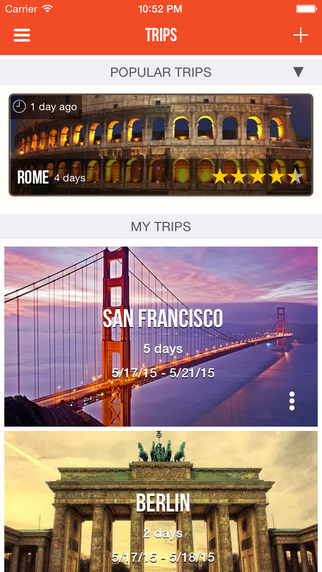 Travel enthusiast should definitely check out what this app has in store for you. Best of all—it’s completely free! One of the cool things about Routes 2 is that it’s also compatible with your Apple Watch, something really neat for the people who have purchased this gadget.